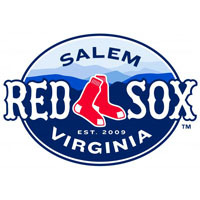 The Myrtle Beach Pelicans used a three run third inning to pick up a 4-1 victory over the Salem Red Sox in game two of the Southern Division Championship series Thursday night. The series will be decided in game three tomorrow night in Myrtle. With the Sox up 1-0 in the third, Chris Grayson reached on an infield bunt single with one out. After he stole second, Christopher Bostick walked against Sox starter Pat Light. Then Preston Beck launched the first of two crucial triples, scoring both runners to give the Pelicans a 2-1 lead. A batter later, Ryan Cordell reached on an error by Light, scoring Beck to make it 3-1. The second key triple came in the fifth. Grayson tripled to lead off the frame off Light and scored a batter later on a sacrifice fly by Bostick. Light was saddled with the loss, lasting four and a third innings, allowing four runs (three earned) on four hits. Pat struck out two and walked two. Luis Parra picked up the win for Myrtle Beach. Parra surrendered just five hits and a lone run in five and two thirds. Jose Leclerc struck out the side in the ninth for the save. Salem’s lone run came in the second. Manuel Margot walked to start the frame, and reached third on a single by Mario Martinez. Jake Romanski then hit a bouncer off the glove of Parra. He corralled to get the out at first, but the ball got far enough away to score Margot from third to give the Sox a 1-0 lead. The game stayed 4-1 thanks to Sox reliever Jonathan Aro. The righty allowed just two hits and stuck out seven in three and two thirds shutout innings. The deciding third game of the series is scheduled for tomorrow night at 7:05 at TicketReturn.com Field. Cody Kukuk is on the bump for the Sox with Chad James scheduled for Myrtle Beach.